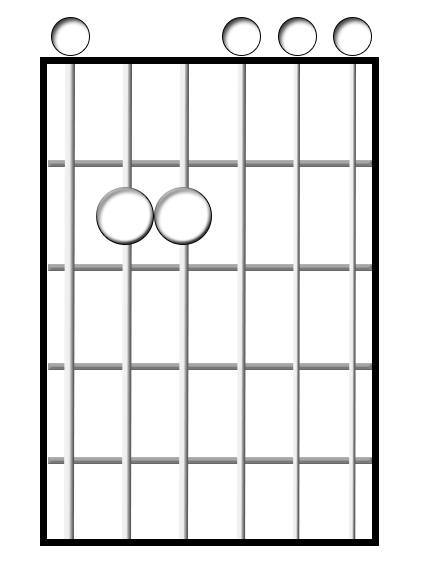 To begin learning chords, the best approach is to play chords that are easy. The chords I'll show you in a moment are easy enough that anybody of any age can learn them in just a few minutes. 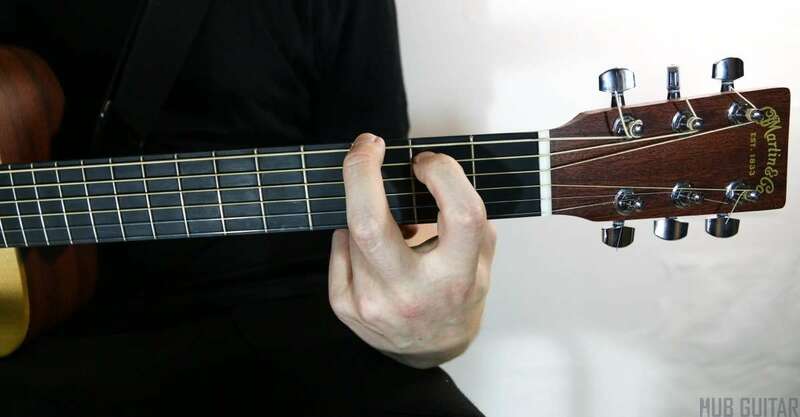 We don't want to get too deep into chord naming here, so we are gonna call this first one Dirty C. You'll take your second finger and put that on the third fret of the fifth string. Now, take the first finger and put it on the second fret of the fourth string. The third, second and first strings will be played open, just like that. The sixth string will not be played at all. The next is a dirty G chord. 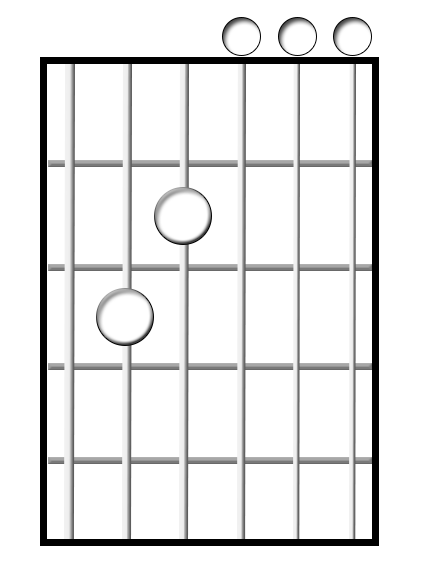 You'll use the same shape as before, but just move it one string further towards the ceiling so that it starts on the sixth string. Second finger on the third fret of the sixth string, first finger on the second fret of the fifth string. All the rest of the strings ring open. Last is an E minor chord. 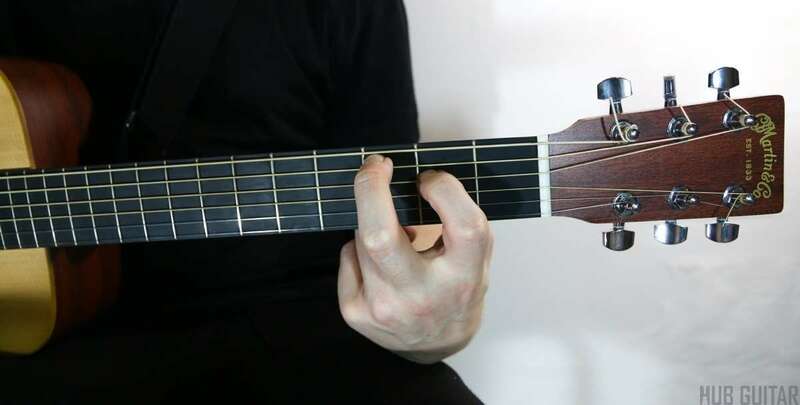 You can play this chord with any two fingers. Most beginners seem to find it easiest to use the first and second fingers. So use your first finger on the second fret of the fifth string, and your second finger on the second fret of the fourth string. 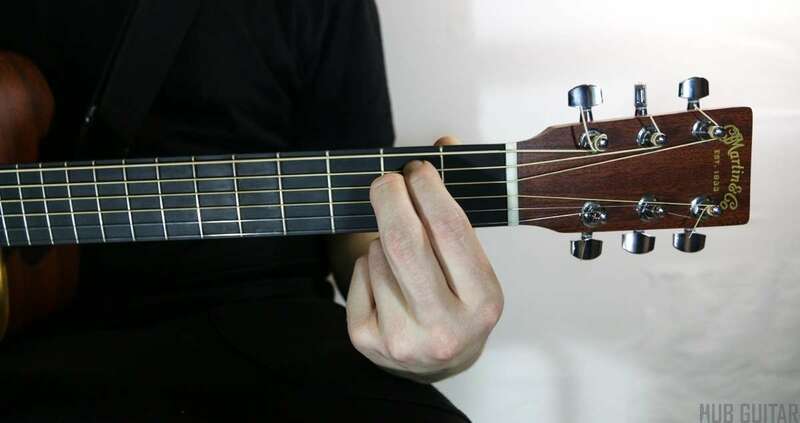 Once you've got these chords down, you can try strumming them. That just means to hit the strings with the pick. Usually with some sort of rhythm. After that, you'll want to try switching back and forth between them. 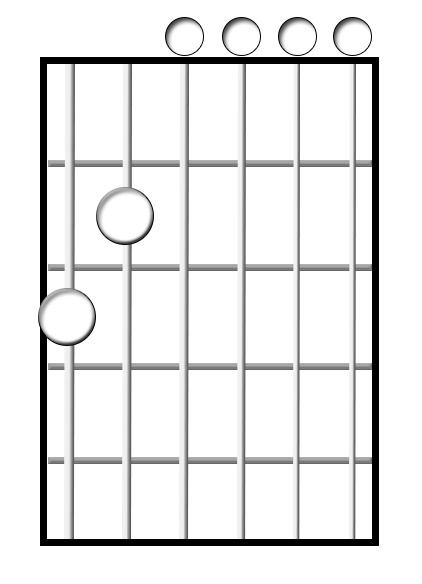 In beginner classes, we usually play these three chords as a set of four, by adding another Dirty C on the end. Like this. You can repeat that as long as you like. Once you've got those down, you're ready to move on to more difficult chords.